When it comes to things like major disasters, it can be a hard subject to deal with when it comes to kids. Adults understand the reality of the situation, and the fact there may be deaths involved, but there is a point where it can be really hard to tell kids about them without scaring them. Kids can understand what death is, but not have the emotional attachment to it that adults to simply because they are too young to understand the concept. Adults understand their own mortality, but children do not, and this is why it can be hard to make them see that even children their own age can die under tragic circumstances. The sinking of the RMS Titanic was an event that changed the world forever, and trying to explain it in a way that is not horrific to children can be difficult. One way to make the Titanic disaster easier to take, is to explain the facts of the big ship to kids. 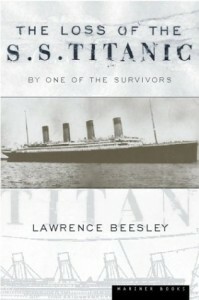 The Titanic struck an iceberg on the night of April 14,1912. The Titanic was advertised as being “practically unsinkable” so she only carried enough lifeboats for half the people on board, and not even that many were saved! Titanic was on its maiden voyage when it set sail on April 10, 1912. The ship was supposed to be back in New York within a few days, but disaster struck and the ship sank on its way from Southampton, England. 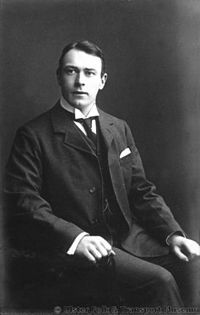 After the Titanic hit the iceberg, designer Thomas Andrews gave her an hour or two at the most. However, the ship was so well built that it actually took almost three hours for it to sink, which gave it plenty of time for the passengers to fill the lifeboats and get off the sinking ship. The RMS Titanic only carried enough lifeboats for 1100 people. The total number of lifeboats the ship carried was 20, which was 16 regular and 4 collapsible. When the Titanic went down, it traveled more then two and a half miles down in under five minutes. When the ship hit the bottom, the angle it plunged made it plow into the mud so deeply that most of the bow is buried in it almost all the way up to the hanging anchor. The Titanic began sending out distress signals after midnight, and there were many ships in the area. However, most of the ships they spoke to were too far away to render assistance. Finally, the RMS Carpathia responded to the distress call, turned around, and headed for the Titanic’s location. 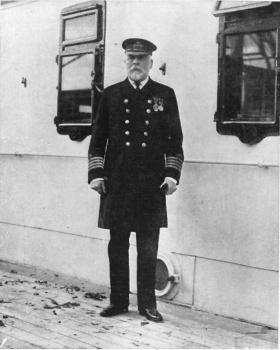 The captain of the ship, Edward J. Smith, was getting ready to retire. Smith agreed to take just one last trip, which was the maiden voyage of the RMS Titanic. When the ship began to sink, Smith had the chance to go into a lifeboat, but he preferred to go down with his ship. At the time of Titanic’s launch, it was considered to be the biggest object ever created by the hand of man. The ship was almost 900 feet long, and over 90 feet wide. It took until around 3:30 in the morning for the RMS Carpathia to finally show up to the coordinates that the Titanic reported to be at when she started to sink. The Carpthia was a very small ship, and it only held 750 people, but her passengers were about to double when they began rescuing the Titanic survivors. Out of 228 poeple, the total rescued were only 705, which means that over 1500 people died. The RMS Titanic sank in 1912, which was over 103 years ago. However, despite the fact it has been over a century since it went down, people are still talking about it even to this day. When it comes to helping children understand the disaster, talking about the RMS Titanic in terms of facts, may be the best way for young kids to really understand. There are many facts about the RMS Titanic that are incredible, and it is one way to talk about the disaster without having to talk about death and destruction. While the fact that over 1500 people died, the younger generation may not be able to truly understand how tragic the Titanic disaster was, but helping them understand the facts will make it easier for them to deal with.